Prime Minister Ranil Wickremesinghe shot back at economists who called out that the country was among Asia’s most vulnerable to global emerging market volatility. 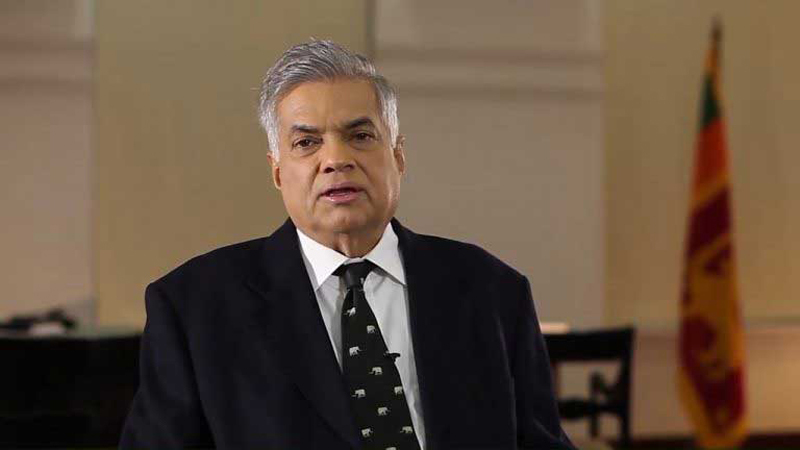 Sri Lanka is building long term financial stability by diversifying its exports beyond tea and apparel and into higher-value goods and services, Prime Minister Ranil Wickremesinghe told CNBC on the sidelines of the World Economic Forum on ASEAN in Hanoi, Vietnam on Tuesday. Wickremesinghe denied the oft-cited claim that Sri Lanka was ceding control of strategically vital ports to Chinese control and said he didn’t believe the country was falling into a debt trap caused by high-interest Chinese loans. Sri Lanka and China have agreed to a 99-year lease of the southern Hambantota port, which underlines China’s growing strategic and commercial influence in the Indian Ocean region. Despite concerns voiced earlier this month by ratings agency Fitch about a “challenging” external debt servicing outlook, high government debt and political uncertainty following regional polls, Wickremesinghe said he didn’t believe Sri Lankan sovereign bonds were on the verge of a downgrade. “We and many others are running deficits in Asia and that certainly would be a matter of concern, but so far we have been able to negotiate with rating agencies and it has certainly not affected our borrowing capacity,” he said. Sri Lanka’s government debt remains high at around 77 percent of GDP. Both took particular exceptions at Nomura’s initial short-term external debt estimate of $160 billion, a figure Nomura later admitted was inaccurate. The bank issued a corrected number of $7.5 billion as of the first quarter. When asked about the official figure, Wickremesinghe put it at $14.2 billion, though the time period was unclear. The higher number could also be due to officials using a broader measure of external debt. Sri Lanka, bailed out by the International Monetary Fund in 2009 and mid-2016, should not need further support from the global lender, the prime minister said.